Comp-Tac's popular international holster now has fits for the S&W K, L and N frame revolvers. 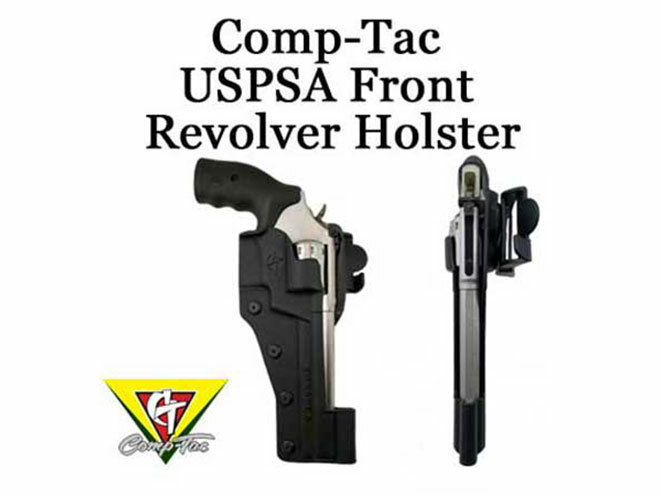 Comp-Tac Victory Gear, a leading manufacturer of quality concealed carry and competition holsters, has once again expanded their holster fits to include holsters for a variety of revolver sizes. Comp-Tac’s popular international holster now has fits for the S&W K, L and N frame revolvers. Comp-Tac has been voted the most popular holster brand amongst competitors at the IDPA National/World Championships for the past 4 years. 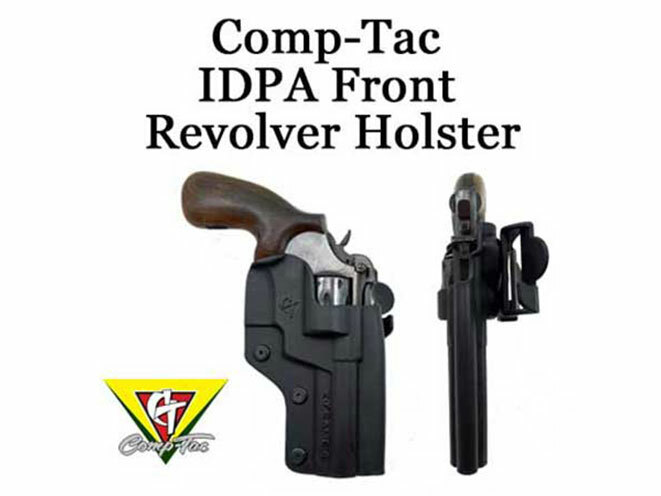 The International, Comp-Tac’s premier competition holster, can now be purchased for shooters who are looking to use revolver in IDPA, USPSA, Steel Challenge, ICORE or other competitive shooting sports. The International is an outside the waistband holster with a modular mounting design giving the user a belt mount, paddle mount and drop offset attachment piece. This holster is made of all Kydex giving the user a fast smooth draw for all their competitive needs. K Frame Revolvers: Comp-Tac has created three holster fits for medium size K frame revolvers; a 4” slide with an IDPA legal front cut and a 6” holster with a USPSA front cut. L Frame Revolvers: Comp-Tac has created 3 holster fits for medium/large size L frame revolvers; 4” slide IDPA Front, 5” Slide USPSA Front, 6” Slide USPSA Front. N Frame Revolvers: Comp-Tac has created 4 holster fits for the large size N frame revolvers; 2.5” Slide IDPA Front, 4” Slide IDPA Front, 5” Slide USPSA Front and 6.5” USPSA front. 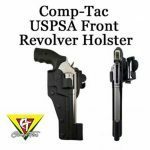 USPSA Front Revolver Holsters: The USPSA low cut front allows the user to have a shorter draw stroke for faster presentation of the revolver. 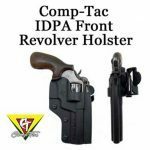 IDPA Front Revolver Holsters: The IDPA Front is a higher cut creating a longer draw stroke and is legal for use in IDPA competition and an excellent choice for concealed carry or everyday range use. 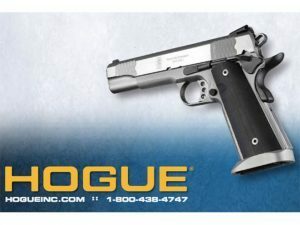 “There are hundreds of revolvers out on the market and for years Comp-Tac has struggled in developing holsters for them. 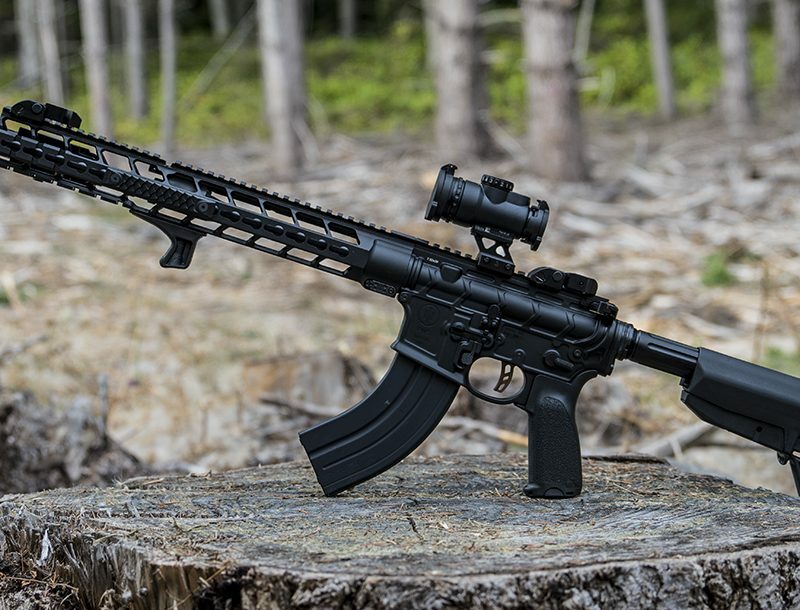 However, with the help of some competitive shooters, other product manufacturers and our own R&D team we have been able to develop a selection of holsters to help not only the competitive shooter but the concealed carry user and all individuals wishing to take advantage of their firearms,” stated Gordon Carrell, Comp-Tac’s General Manager. For more information on Team Comp-Tac, and the full line of Comp-Tac Victory Gear holsters and accessories, visit www.Comp-Tac.com, like Comp-Tac on Facebook at www.facebook.com/CompTac, or follow @CompTac on Twitter.